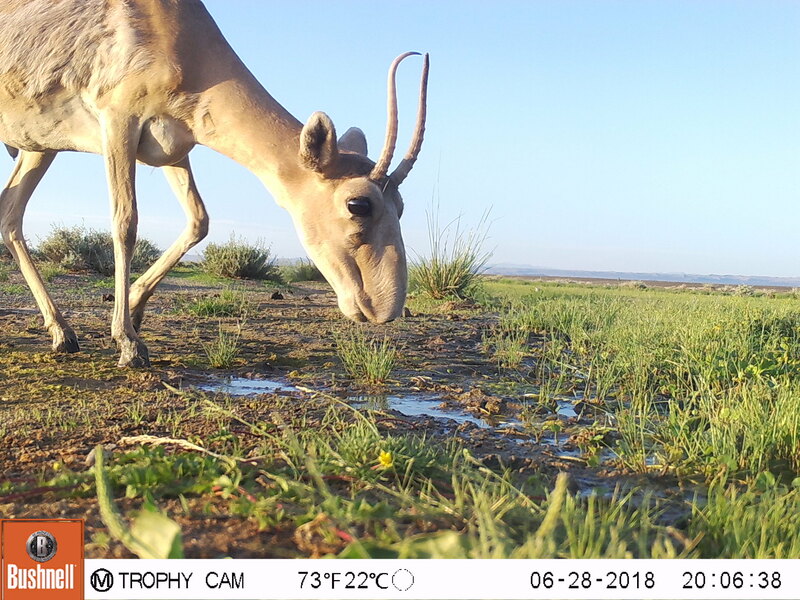 In 2018, there was an added scientific bonus: automat cameras installed by WWF-Mongolia showed of endangered Mongolian Saiga antelope was drinking water from Tungalag spring, much like the domestic animals. The flourishing spring brought new life to the area and a healthier water source for the local people, livestock and wild animals. In 2006, WWF-Mongolia implemented a conservation measurements for the protection of springs and streams in semi-dessert ecosystem in Altai-Sayan Ecoregion. 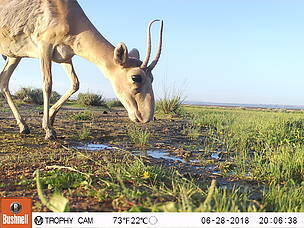 One of these was Tungalag Spring, locates in the home range of Mongolian Saiga antelope, endangered species. That time Tungalag Spring was badly managed and in very poor condition. Water level of the spring was decreased and a lot of mud appeared around it making difficult to access for both wildlife and cattle. Livestock drank directly from the source of the spring, trampled the vegetation and polluted the water. WWF-Mongolia in collaboration with herders and local people stepped in to build a protective fence around the source of the spring to keep livestock at bay. Thanks to the initiative, 0.56 ha areas were erected with wooden fences. The results were positive. By 2008, just two years after the intervention, Tungalag spring’s pressure had increased. As of summer 2018, 12 years later, it flows a distance of 4.6 kilometres. Every year herders look after the fence, fix them in case it was damaged or broken. 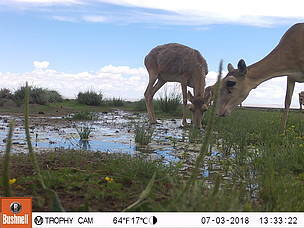 The flourishing spring brought new life to the area and a healthier water source for the local people, livestock and wild animals.